1. Call us at 1-800-382-1099 to let us know that your instrument needs service. 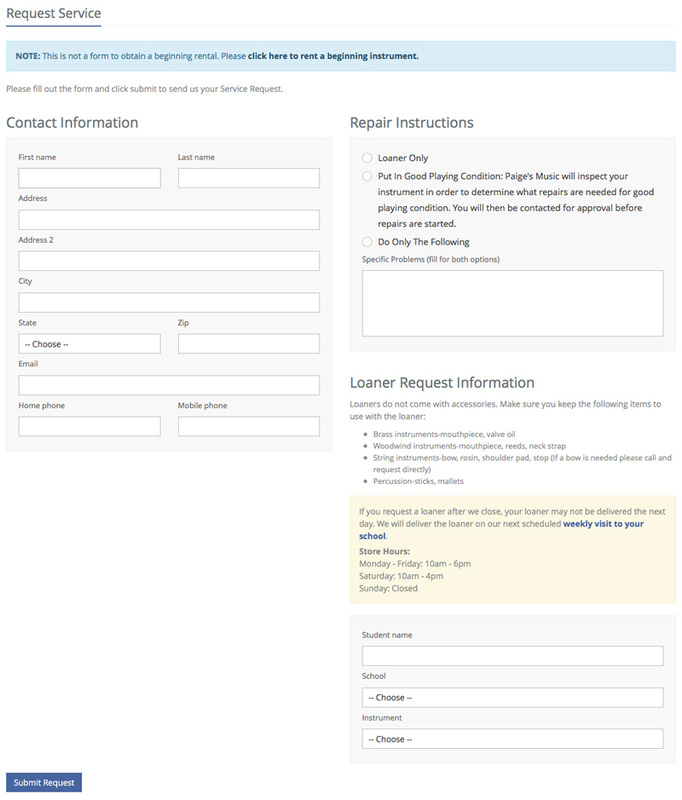 We’ll arrange for a loaner to be sent to your school so your student isn’t without an instrument for class. TIP: You’ll need to keep your mouthpiece, bow, reeds, and cleaning items with you so that you’ll have them to use with the loaner until your instrument is returned to you. 2. Our District Manager will bring the loaner with him on his next visit to your school. He will also pick up your instrument and bring it back to the store for servicing. Most of the time your instrument will be returned to you the following week. TIP: Make sure you take your mouthpiece, bow, reeds, and cleaning supplies out of the loaner and put them back i your original case once your instrument has returned to your school. TIP: If you fill this form out after our store hours and we visit your school the next day, there’s a very good chance that we won’t have your loaner with us. If possible, try to make these requests before we close the night before. When do we visit your school? Find out here! 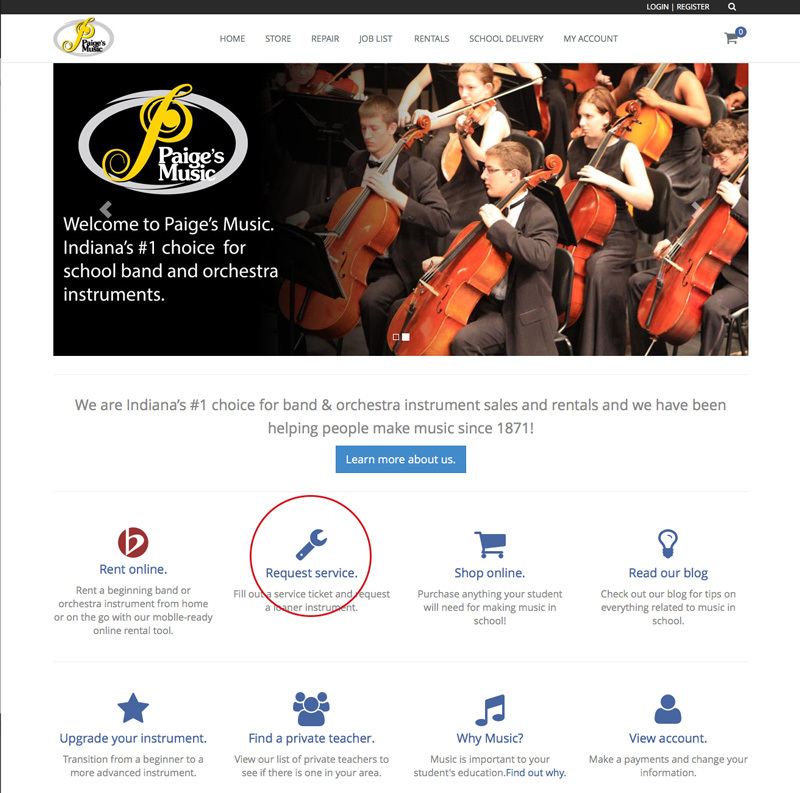 FAQ: How do I rent an instrument on the Paige’s Music website?